This free printable Christmas card has a beautiful Angel praying and looking through a wrought iron fence. Can be used as a Guardian Angel card, too. The feast of the Guardian Angels is October 2. Prints 8.5x11" PDF single side. 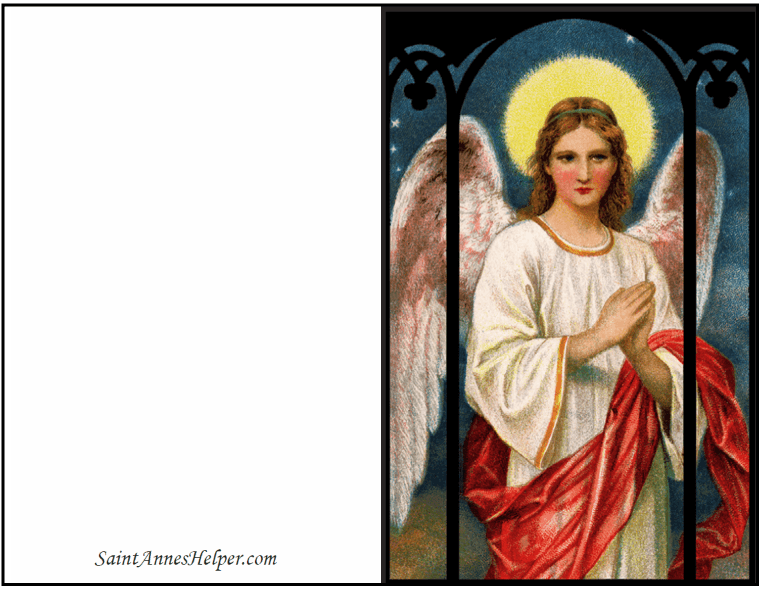 Free printable Christmas card of a Guardian Angel. Ever this day be at my side to light, to guard, to rule, to guide. And at my death my helper be. Together in eternity we'll praise the Blessed Trinity.